As a hot yoga teacher, I am always looking for other studios that offer hot yoga. The studio I teach at is unique – 99 degrees, 60% humidity, dimly-lit yoga… While it’s a little harder to take a class like this, it’s also a safe/non-judgmental place to practice. It’s dimly lit to give students the chance to practice in the dark versus a bright room where everyone can stare at you. And, you can always modify & drop down to your knees at any time to catch your breath at any time. 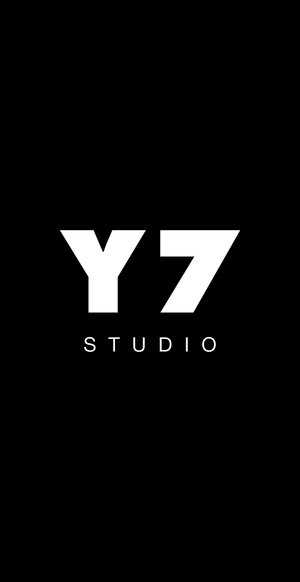 So, when I began looking for studios to practice at while traveling, I stumbled upon Y7 Studio in NYC. I wasn’t able to make it back in March, so I made it a point to take a class my very first day visiting the city. The studio is heated, but with infrared panels. 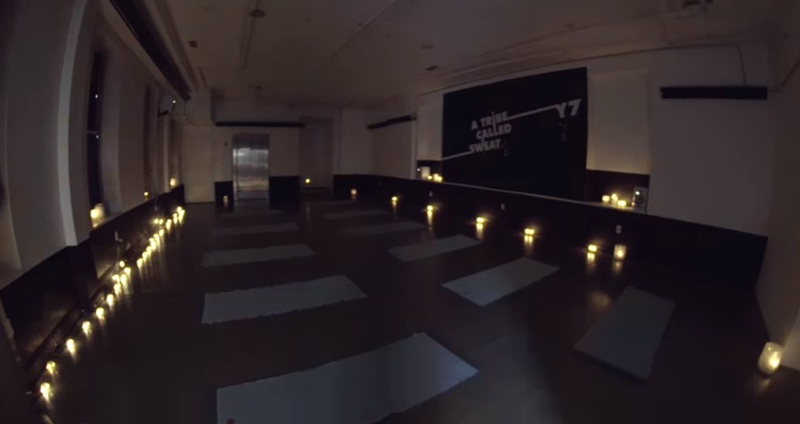 It isn’t like normal hot yoga classes where heat is blown in – basically, the panels warm you up, from the inside-out! I arrived at the studio in Flatiron after taking a class at Laughing Lotus, rushing to get there & eating the last half of my bodega bagel sandwich on the way. 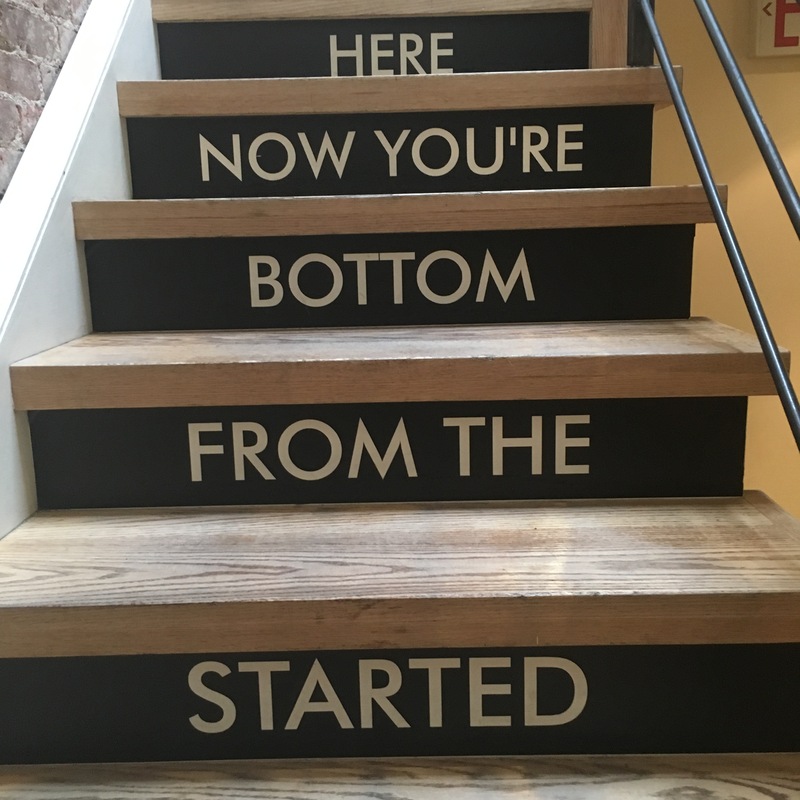 I walked up a few flights of stairs – check out the quote on the steps below – and arrived. Early. SUPER early. Apparently, I had registered for the 5:30 pm class, not the 4:15 class…. oops! Luckily, even though the classes were wait-listed when I signed up earlier that week, they were able to squeeze me into the earlier class. The studio looked brand new – clean & tidy, and very organized (I am super OCD about clean space!). There was a fridge stocked full of Fiji waters, and across from it was a wall filled with cubbies to store your personal items. Around the corner was a changing station with curtains, where you could also refill your water bottles with filtered water. The hallway was filled with mirrors & hair dryers, for those wanting to go out immediately following class. [Although, there were no showers at the Flatiron location (there are ones at the SoHo location), so I assume you could just dry your sweaty hair??] Face wipes, face wash, q-tips, hairspray, dry shampoo, and deodorant were available for use in the bathrooms – super convenient if you forgot your own items. I went into the room (only studio at this location) after purchasing a towel rental – and it was DARK. Darker than the studio I teach at – the only light came from candles that surrounded the walls in the room. I will say that I could barely see ANYTHING, and I wasn’t really told what to expect when entering the room. So basically, enter at your own risk. There were raised notches on the ground to help you find where to line your mat up, which was a little annoying, but helpful so that the space could be maximized as much as possible. I kind of looked like someone with a blindfold on, touching the ground and trying to figure out where to lay my mat. **I was a bit confused at first, as I wasn’t clear that we were supposed to flow on our own the 3rd time around… so I just kept moving until the instructor told us to do something else, and I eventually caught on. I wish I had been told about the format before class! After the class, I chatted with the Instructor, Courtney, who was awesome (Her cues the entire class were on-point!)! She showed me an easy way to get into chin stand (which is my least favorite pose to do of all time) and talked to me a little about her teacher training. Pros: Helpful Teachers & Staff. Filtered water refilling station. Can rent mats/towels. Hair Dryers. Personal items in case you forgot your own (hair spray, deodorant, q-tips, dry shampoo, face wash, etc). Awesome music. Awesome sweaty workout.